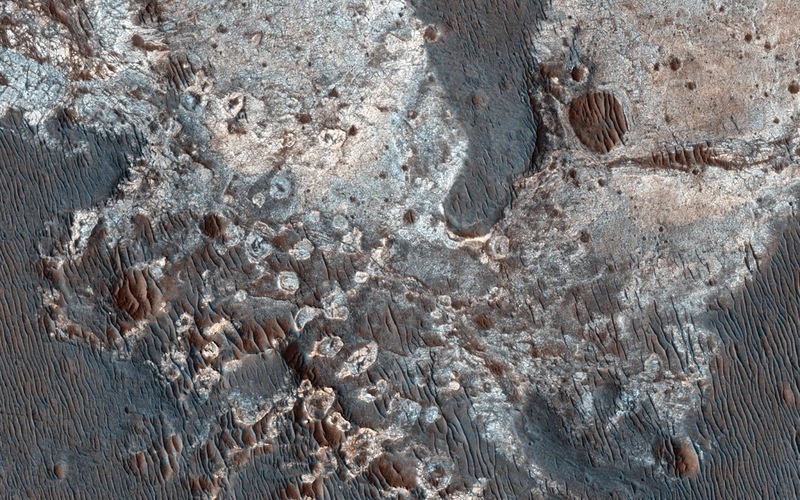 This image shows exposures of deposits along the plateau just to the south of Coprates Chasma. Whereas Coprates Chasma and many of the other chasmata of Valles Marineris contain kilometer-thick light-toned mounds made up of sulfates, several of the deposits along the plateau have signatures of clays. This indicates that water was here for extensive periods of time to cause the plains to weather and alter into clays. Note: For more information, see PIA18933: Clays along the Coprates Chasma Plateau.